This is an acrylic painting on a hardboard panel. The painting measures 10″x 8″. 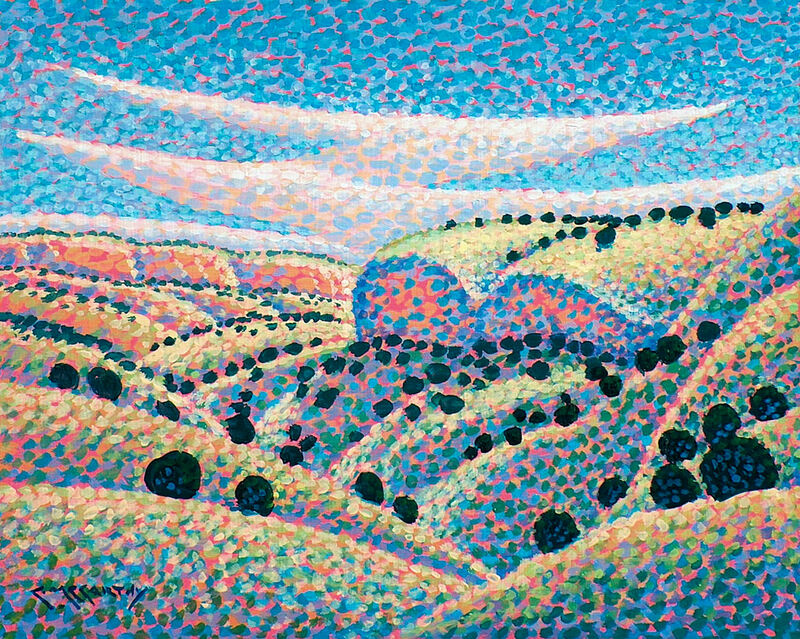 This pointillist painting depicts a lonely canyon out in the southeast of Colorado. I always loved the peaceful solitude of this country. This pointillist painting is being sold with a sandstone colored wood frame attached.